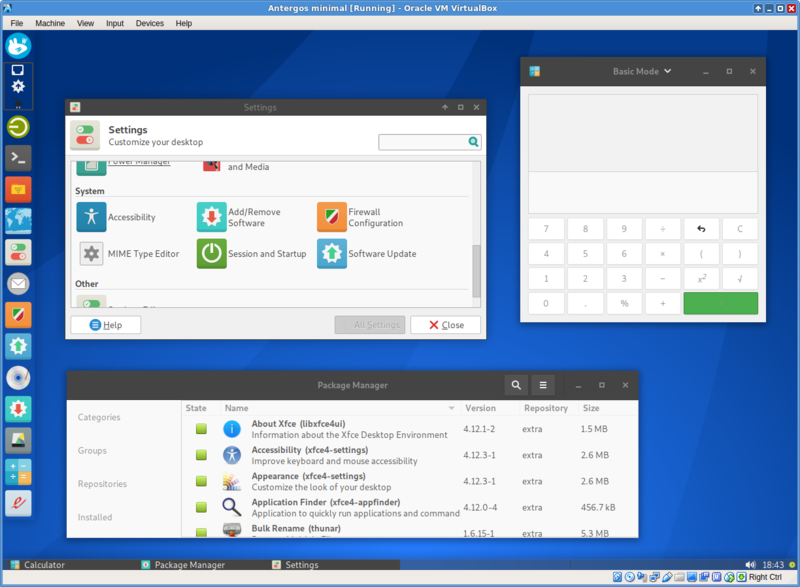 Theming is now completed and the new Antergos-XFCE Desktop is looking fantasticly polished and modern! The panel-dock at the left side with kindof often used apps with transparency to make it look like a real dock. Bottom panel is only set to have 50% transparency. The rest is now new and default after fresh install! It looks great indeed, finally. 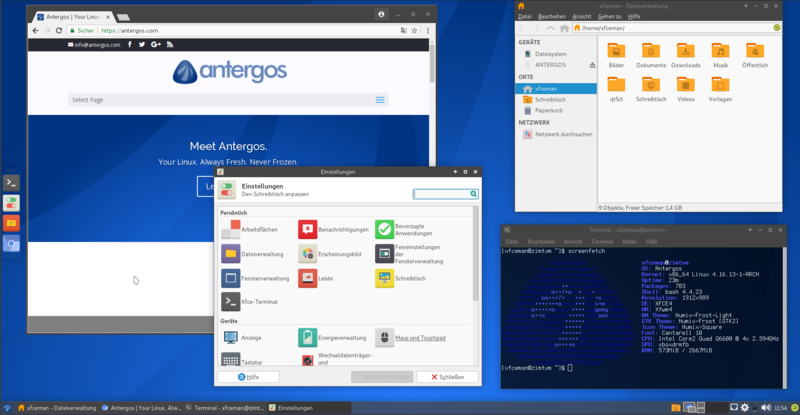 Is this the new default screen of Antergos-XFCE? There is one panel on the left with all apps and some more. Then the bottom panel mostly shows which apps are running, and it has some basic stuff too. It’s height is also quite small in order to save some space (as we have these wide screens).